Between 1966 and 1980, the War History Office of the National Defence College of Japan (now the Centre for Military History of the National Institute for Defence Studies) published the 102-volume Senshi Sōsho (War History Series). 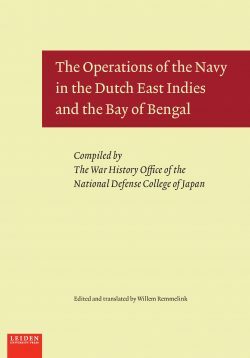 These volumes give a detailed account of the operations of the Imperial Japanese Army and the Imperial Japanese Navy during the Second World War. 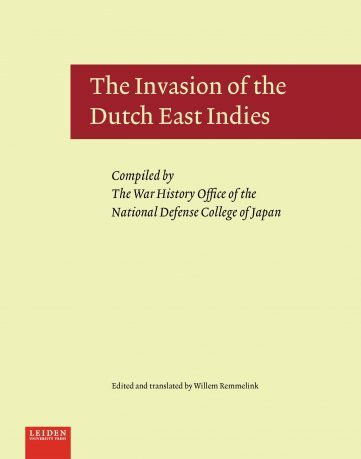 Volume 3 of the series, The Invasion of the Dutch East Indies, describes in depth the campaign to gain control over the Indonesian archipelago – at that time the largest transoceanic landing operation in the military history of the world. The present book is the first complete and unabridged translation of a volume from the comprehensive Senshi Sōsho series. It enables military historians and the general public to see and study for the first time how the operation that put an end to Dutch colonial rule in Indonesia was planned and executed. Willem Remmelink is a specialist in Japanese and Indonesian history. He was the executive director of the Japan-Netherlands Institute in Tokyo for more than twenty-five years.